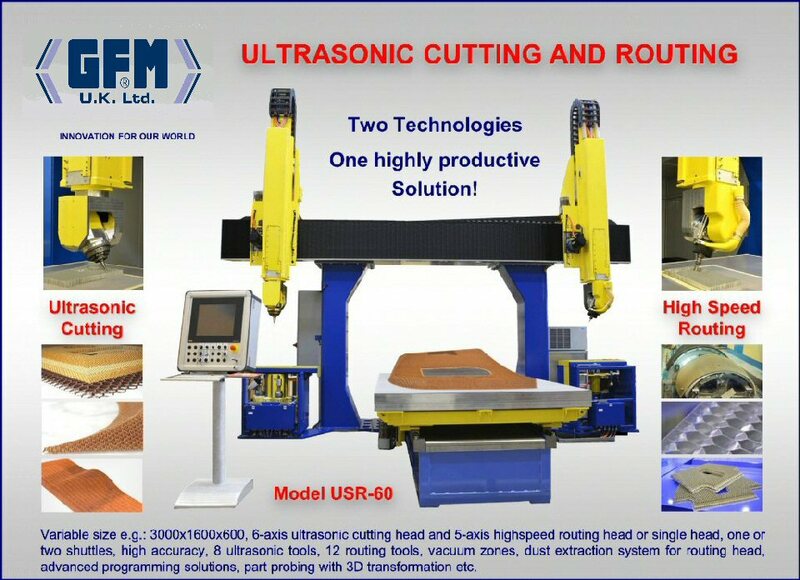 The GFM combination Router/Ultrasonic Knife cutter offers solutions which are unavailable elsewhere. The speed and accuracy are second to none. These 6 axis high speed machines are ideal for routing or ultrasonically cutting composite materials, including preform and cured structure trimming and honeycomb core carving (both aluminium and non metallic). In addition the machining of non-ferrous materials can be accomplished.